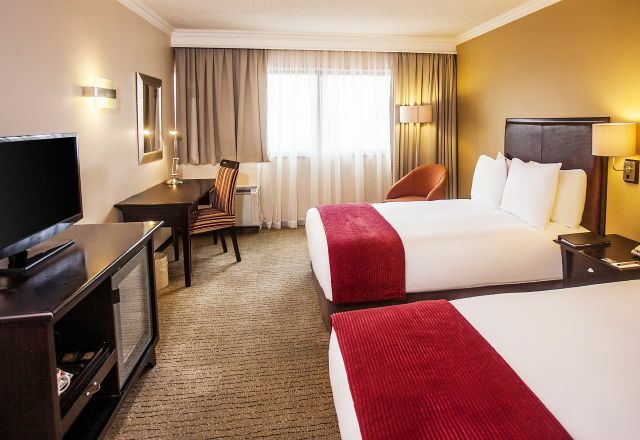 Our Standard Rooms offer well-appointed accommodation with everything you need for your time in Pretoria. Rooms feature one queen bed or two double beds, plus en-suite bathroom. They also have air-conditioning, tea and coffee making facilities, flat screen television with DStv, study table with chair, complimentary WiFi, mini-bar fridge and electronic safe. Rooms feature one queen bed or two double beds, plus en-suite bathroom.